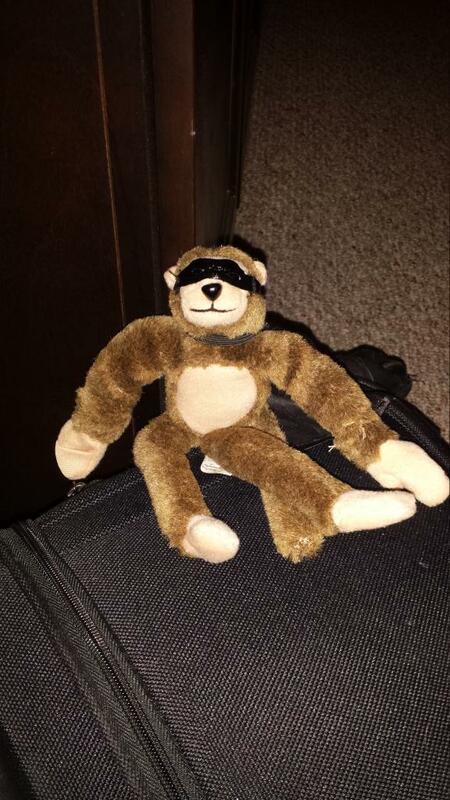 It’s vacation season and no one is more excited about the prospect of a trip than George! 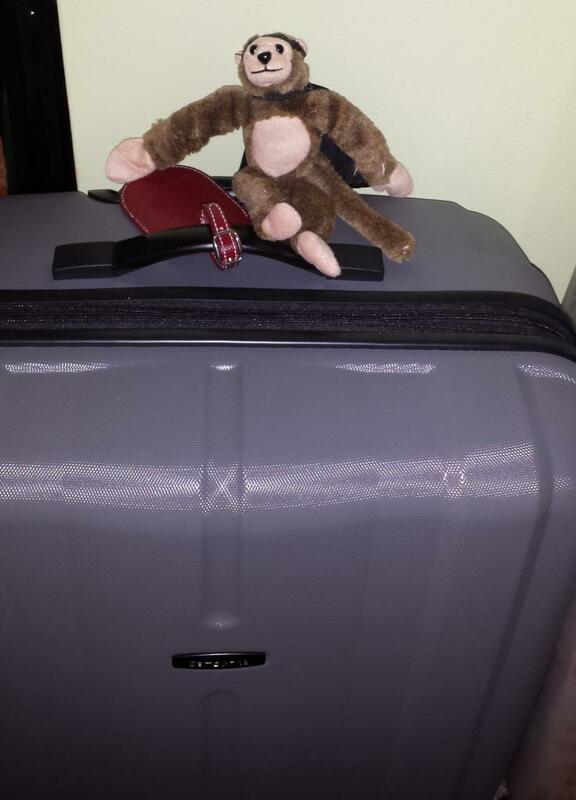 It’s been so long since he spent any quality-time with his cousins Georgito and Georges, he started packing a week ago! George gets to accompany me, as well as K. R. Brorman, to the wilds of Virginia and C. C. Cedras‘ fabulous mountain aerie (not to be confused with “The Eyrie” – there is no Moon Door) where we will commune with nature, sip cocktails on the veranda, put our noses to the grindstone and fingers to the keyboard for our semi-annual whenever-we-can writer’s retreat! Now he’s sitting with his suitcase beside the door, waiting. Soon George, soon! One more sleep! I know you will all have a wonderful time! Looking forward to more snippets of stories! Love you all! Would so love to be a fly on the wall. I have no doubt the conversations will be interesting, the laughter, plenty, and the wine flowing! Have a great time together and MAKE MEMORIES…..
Leave a reply on "Are We There Yet?"